What should every hacker have available to them? Thats right, a screwdriver (you have to get into those cases somehow). What makes screwdrivers even better is when there are a variety of interchangeable bits to use in different situations as you need them. 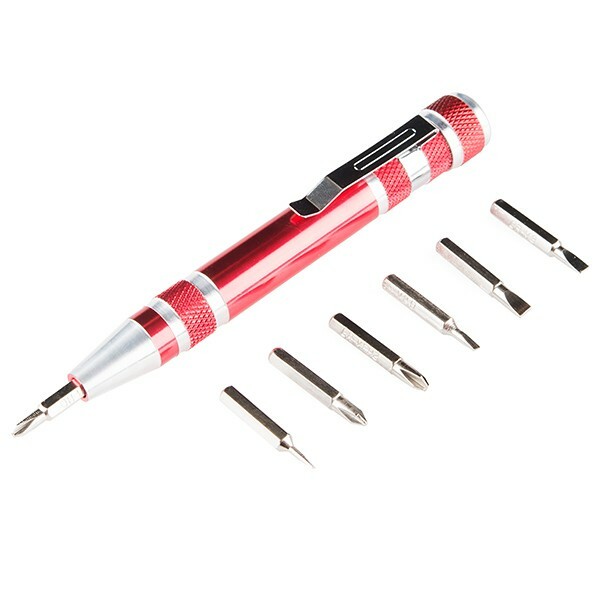 This Pocket Screwdriver Set provides you with just that service in a small, portable package. Each Pocket Screwdriver Set offers 7 different chrome vanadium bits, four flathead options and three Phillips head options, that fit snuggly in the quick-change magnetic holder at the tip of the screwdriver. The screwdrivers body is made from a hardened anodized aluminum body with a knurled finger grip to make sure you get the maximum amount of grip while in use. Storage isnt an issue for the bits either, a cap can be unscrewed at the end of the body of the screwdriver to expose its hollow innards that can easily fits each bit with space to spare.